Novice: Our Lady of the Snows, North Floral Park, defeated St. Adalbert, Elmhurst. Bantam: Resurrection, Gerritsen Beach, downed Mary’s Nativity/St. Ann, Flushing. Pee Wee: Our Lady of the Snows were victors over St. Anastasia, Douglaston. Novice I: St. Nicholas of Tolentine, Jamaica, over St. Adalbert. Bantam I: St. Joan of Arc, Jackson Heights, defeated Holy Child Jesus, Richmond Hill. Rookie I: St. Stanislaus Kostka, Maspeth, upended Our Lady of the Snows. Intermediate I: St. Kevin, Flushing, defeated St. Matthias, Ridgewood. 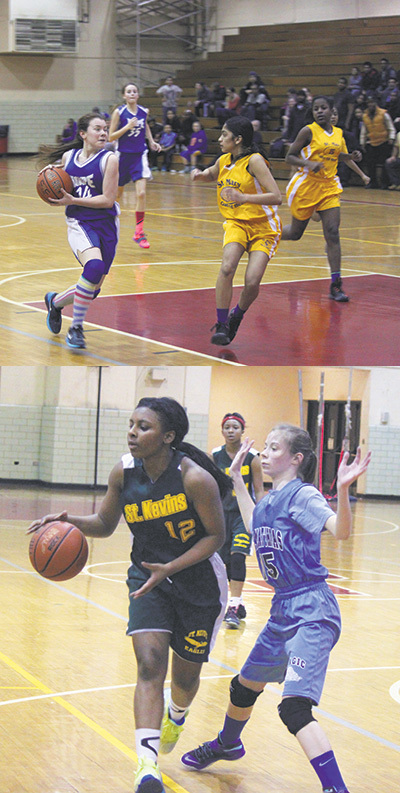 Rookie II: St. Adalbert over Queen of Peace, Flushing. Intermediate II: St. Mary Gate of Heaven, Ozone Park, stopped Our Lady of Hope, Middle Village.